For the past decade, there has been a very high level of social hostilities involving religion and race across the globe. 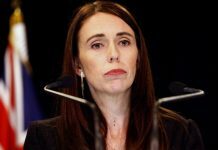 The latest is the recent Christchurch shooting that claimed at least 50 lives with many more injured. Malaysians of all ethnic groups and religions should join the unequivocal condemnation of the attack. Sadly, a 17-year-old Malaysian lost his life. No religion in this world permits its followers to kill or injure others on religious premises. All religions say it is absolutely wrong to harm any innocent individual. Looking at the present situation in some countries where bloodshed occurs almost daily, irrationality has provided the platform for extreme groups to strengthen their grip and spread their influence. Let’s hope that violence and malice of this nature do not reach our shores. Houses of worship around the world, places of reflection and peace, have been increasingly targeted for attack by extremists in this decade. In 2010, there were three deadly attacks on houses of worship. An extremist group killed 27 and injured 270 after carrying out a double suicide bombing against another Shia mosque in south-eastern Iran. Another extremist group attacked Our Lady of Salvation Catholic Church in Baghdad during Sunday night mass, killing 58 people in the deadliest assault targeting Christians since the 2003 US-led invasion there. Two suicide bombers from an extremist group blew themselves up near a mosque in south-eastern Iran, including six Revolutionary Guard commanders. In 2012, six members of the Sikh Temple of Wisconsin, in Oak Creek, were fatally shot by a white supremacist. In 2014, two Palestinians using axes, knives and a gun killed four Jewish worshippers and an Israeli police officer in an attack on a Jerusalem synagogue. In 2015, a suicide bombing at a Shia mosque in the Pakistani town of Shikarpur killed 71. Suicide bombers attacked a pair of mosques in Yemen’s capital, killing 137 worshippers. Nine black worshippers including a pastor were killed by a white supremacist, after he prayed with them in Charleston, South Carolina. A suicide bomber struck a mosque in Yemen’s rebel-held capital, killing 25 worshippers during prayers for the Muslim holiday of Eid al-Adha. In 2016, a suicide bomber killed over 50 worshippers at the shrine of Shah Noorani, in Pakistan’s Baluchistan province. A suicide bomber struck inside a Cairo chapel adjacent to St Mark’s Cathedral, the seat of Egypt’s ancient Coptic Orthodox Church, killing at least 25 people. In 2017, a gunman killed six men during evening prayers at the Islamic Cultural Centre in Quebec city. A suicide bomber detonated his explosives vest among the devotees at the shrine of Lal Shahbaz Qalandar in Pakistan’s Sindh province, killing 98. Twin suicide bombings shattered churches in the Egyptian coastal city of Alexandria and Tanta, killing at least 45 people. In 2017, a suicide bomber killed four people at a Shia mosque in Afghanistan’s capital city of Kabul. A suicide bomber stormed into a Shia mosque in Afghanistan’s western Herat province, opening fire on worshippers before blowing himself up, killing at least 90 people. Hundreds more were wounded in the attack, which happened during evening prayers. Militants raged on a crowded Shia mosque in Kabul during Friday prayers and the attack ended with at least 28 worshippers killed and 50 wounded, many of them children. A suicide bomber blew himself up outside a Shia mosque in Kabul, killing five. 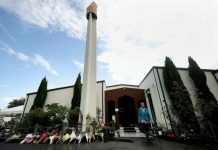 This attack took place as worshippers were leaving the mosque after Friday prayers. Another suicide bomber attacked, killing 31 and wounding 29 people, at a Shia mosque in Kabul. A 26-year-old opened fire at the First Baptist Church of Sutherland Springs, Texas, killing 26 people and wounding about 20 others. Militants killed 311 worshippers in a mosque attack in north Sinai, the worst such terrorist attack in Egypt’s modern history. A church in the Pakistani city of Quetta was attacked, leaving 16 people dead. In 2018, suicide bombers attacked a Shia mosque in eastern Afghanistan, killing 27 people. A gunman entered the Tree of Life Congregation synagogue in Pittsburgh and opened fire, killing 11 and wounding six, including four police officers. In 2019, two suicide attackers detonated two bombs during mass in a Roman Catholic cathedral on the largely Muslim island of Jolo in the southern Philippines, killing 23 and wounding about 100 others. A couple of days later, an attacker hurled a grenade in a mosque in nearby Zamboanga city, killing two religious teachers. 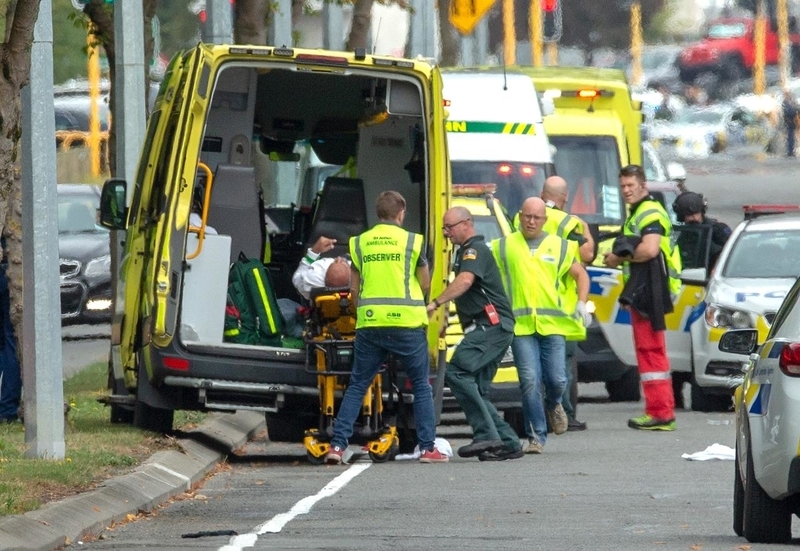 At least 50 people were confirmed killed and many injured in the attack on mosques in the New Zealand city of Christchurch. The nature of such attacks gives a fairly worrying picture of the level of irrationality among human beings today. It seems like there is a “return of religious wars” in our midst. What is particularly alarming is that this brashness of extremism could be intensified to a more radical level. In fact, we are living in a world of conflict. There are conflicts and violence related to race and religion and, if allowed to flourish, it could have a contagion effect on many other nations. In conflicts of this nature, the outcome may be tragic. Tragedy or catastrophe will surely befall if one acts according to emotion and anger. Fortunately, the violent approach to resolving racial and religious issues is not part of Malaysian culture. It is, on the contrary, a foreign culture that has been seen ruining the social fabric of many other countries. As Malaysians, we resorted in the past to peace and maintained the feeling of national unity. As a multiracial and religious Malaysia, the country has adopted an inclusive approach to politics, racial and religious understanding for the past six decades. Of late, nevertheless, there has been a spate of racial and hate speech made by individuals that is disturbing peace-loving Malaysians. Before this flares up into flames, the authorities need to take steps to weaken racism and hate speech by politicians and individuals that are being wildly spread through the social media. The country has to create an environment where hate speech cannot flourish. Free speech does not mean hate speech. Spewing hate speech will only create more bigots in society. For a long time, Malaysians have been well known for their simple and rational attitude. Thus far, the majority of Malaysians have rejected the culture of extreme violence. Hopefully this remains as part of Malaysian culture. Malaysians need to realise that all forms of violence or mob rule by deviant groups will have a tragic effect on long-term harmony and security of the country. Similarly, the country cannot become a sanctuary for militant activities. The involvement of some Malaysians in the IS militant movement in Syria and the detention and deportation of foreigners found to be linked to terror groups should open the eyes of all parties to the fact that the threat of militancy and violence against peaceful Malaysia might no longer be an illusion. It could happen in front of our eyes if steps are not taken to break their chain of influence. The black episodes that have hit many countries should open the eyes of all Malaysians to see that efforts to maintain peace and harmony in the country are not always easy and do not always end up with victory. It would be wise, therefore, to put a stop to hate speech, racial and religious politics before it’s too late. 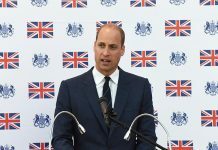 The approach adopted by the authorities such as the police in addressing and curbing such threats should be supported by politicians and people of all races and religions.